The bold futurist and bestselling author explores the limitless potential of reverse-engineering the human brain. Ray Kurzweil is arguably today’s most influential, and often controversial, futurist. In How to Create a Mind, Kurzweil presents a provocative exploration of the most important project in human-machine civilization — reverse engineering the brain to understand precisely how it works and using that knowledge to create even more intelligent machines. Kurzweil discusses how the brain functions, how the mind emerges from the brain, and the implications of vastly increasing the powers of our intelligence in addressing the world’s problems. He thoughtfully examines emotional and moral intelligence and the origins of consciousness and envisions the radical possibilities of our merging with the intelligent technology we are creating. 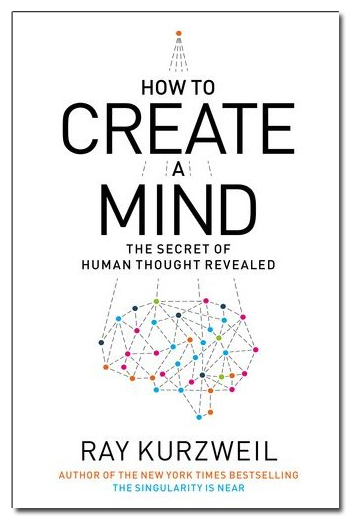 Visit the official book website for more information, and to purchase print, e-book, and audiobook versions of How to Create a Mind.